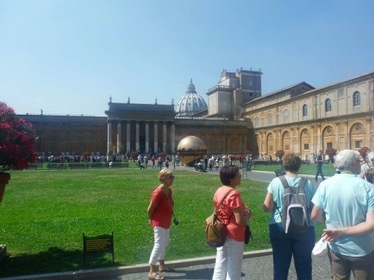 Although Ancient Rome was around well before the arrival of Christianity, the word “Vatican” was used even then to describe the area that is now The Vatican City (officially the State of Vatican City). The most obvious thing that people know about the Vatican City is that it is the home of the Pope and Roman Catholicism. 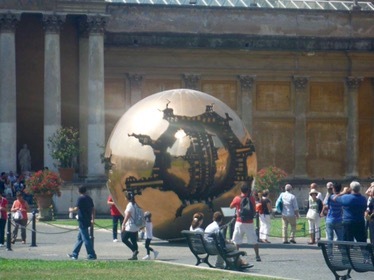 The Vatican City is the worlds smallest state both in terms of area and population and its unique economy relies solely on the sale of publications, fees for admission to museums and the sale of postage stamps and other tourist mementos. 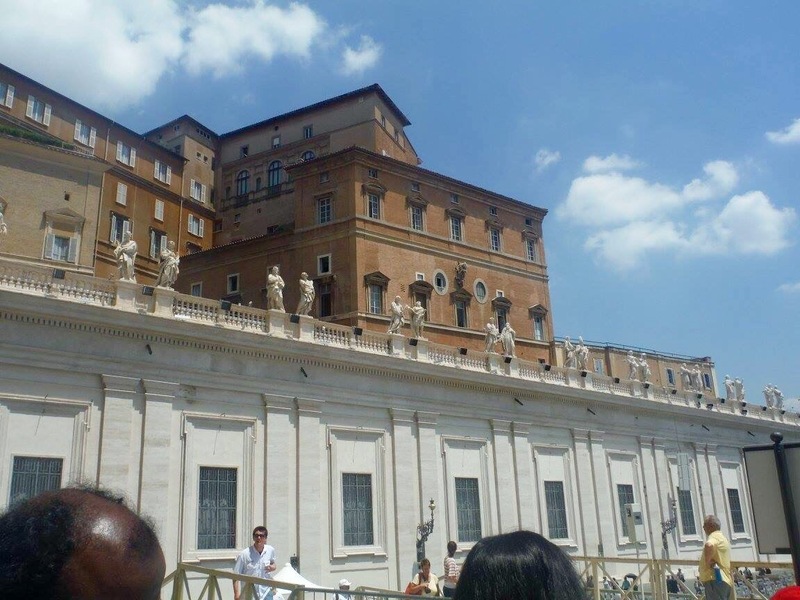 When my mum and I visited the Vatican City, we decided to go with viator and have a tour guide leading us around and telling us things. I’m so glad we decided to do this as there is so much art and history within those walls that we really felt like we got a lot more out of it. Whilst waiting outside the gate for our tour guide we seemed to be swarmed with guys selling scarves and at first, I just thought they were just more annoying people trying to sell tat to tourists. Then I realised that there were sooo many tourists in strappy tops and shorts and I was surprised that so many people didn’t think to cover up. This city is one of the most religious cities in the world so everyone must have their knees and shoulders covered up. 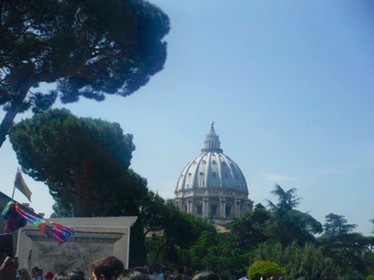 It wasn’t until 3/4 of the way round that I found out that this only applies to the Sistine Chapel so I had been sweating for 2 hours in a cardigan in 32 degree heat! Lesson learnt: layers are the best. Even if one of these layers is an expensive scarf sold to you outside the city gates. Buildings first started appearing on this site in 14 BC and throughout time, chapels and other religious buildings were built here leading up to 1929 when the Vatican City became an official state. 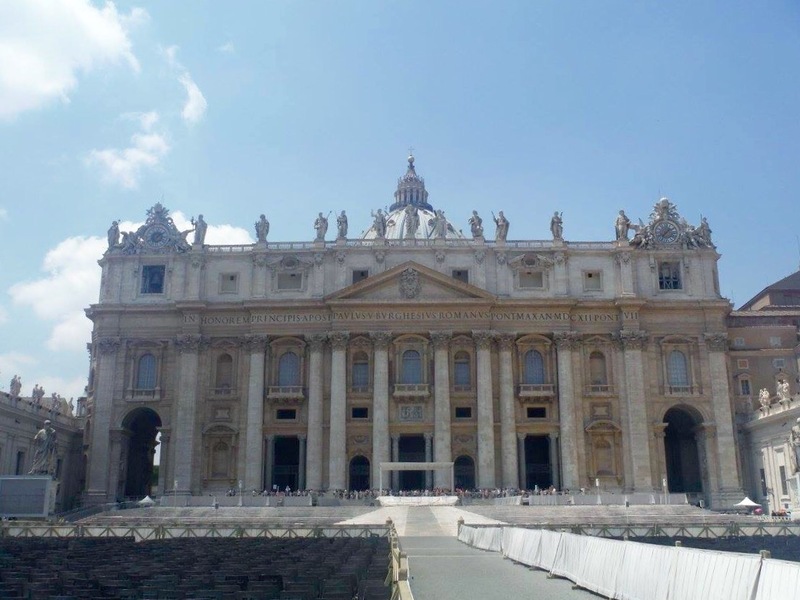 In 1940 it was first opened to the public and nowadays, the Vatican City sees 5 million visitors a year! As I put so many facts in my When in Rome blog, I’ve decided to make this one a photo blog. St Peters Cathedral. Standing at 137m high, no building in Rome can be taller than this. The first garden you see when you enter surrounded by art and architecture. One example of the artwork in the courtyard. This rotates and is so clever! 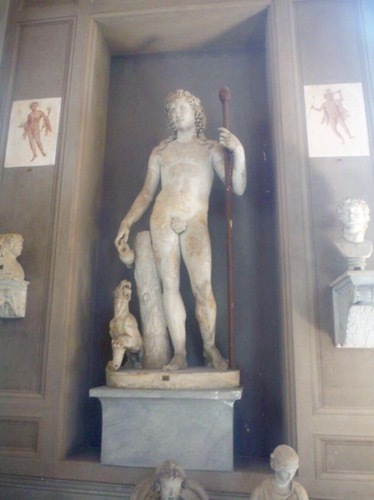 When entering the Vatican Museum, the first section is a collection of statues. The next section is a collection of beautiful tapestries. Some contain gold, some have optical illusions and some are absolutely huge! 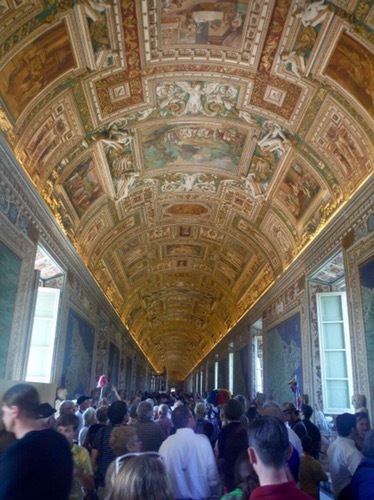 The museum is one long corridor and the ceiling is decorated beautifully with gold and paintings. The final section of this corridor is old maps of Italy. 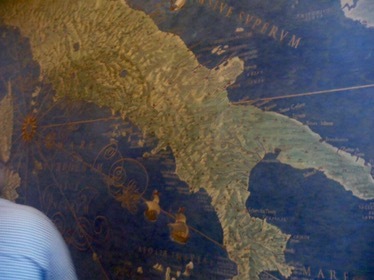 You start with the oldest and they slowly look more and more like the present day Italy. 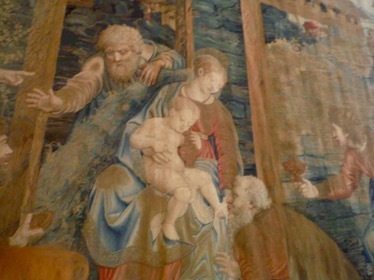 After the long corridor, there are a few rooms of famous artworks by famous artists such as Michelangelo. 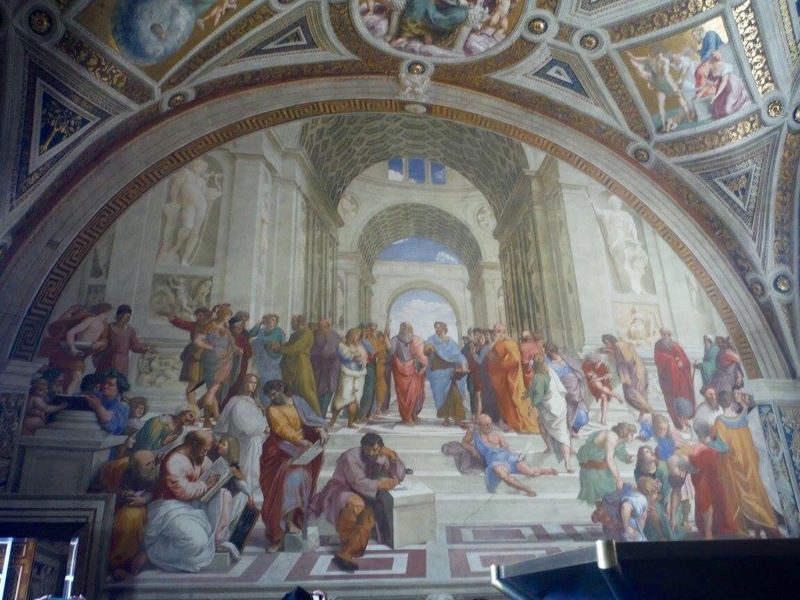 Our tour guide was an art history student so she could tell us a lot about each painting and she also had the rare experience of studying in the Vatican library for her final thesis. The outside of the Sistine Chapel. It is forbidden to talk and take photos inside and there are security guards everywhere to stop people. Our tour guide was able to show us a picture beforehand and describe many of the features of it. The ceiling was designed and painted by Michelangelo and it took him fifty-four months! 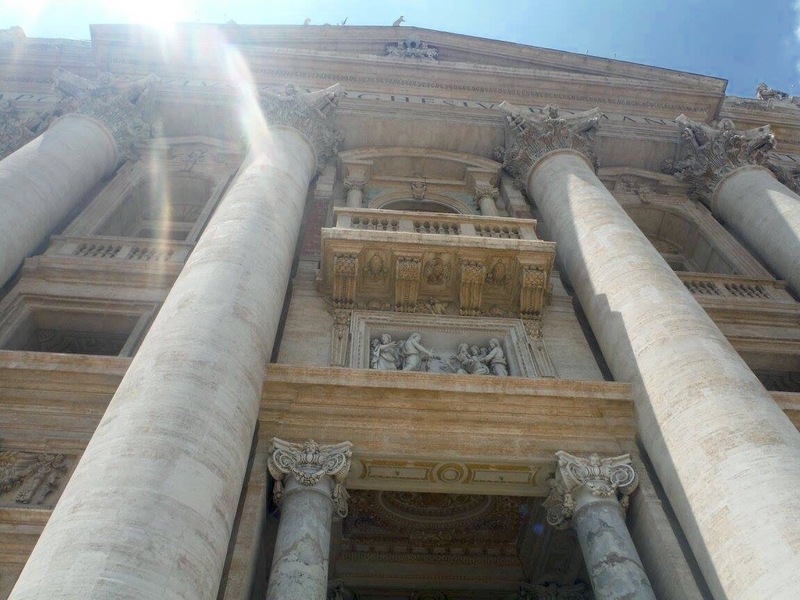 The outside of St Peter’s Cathedral. 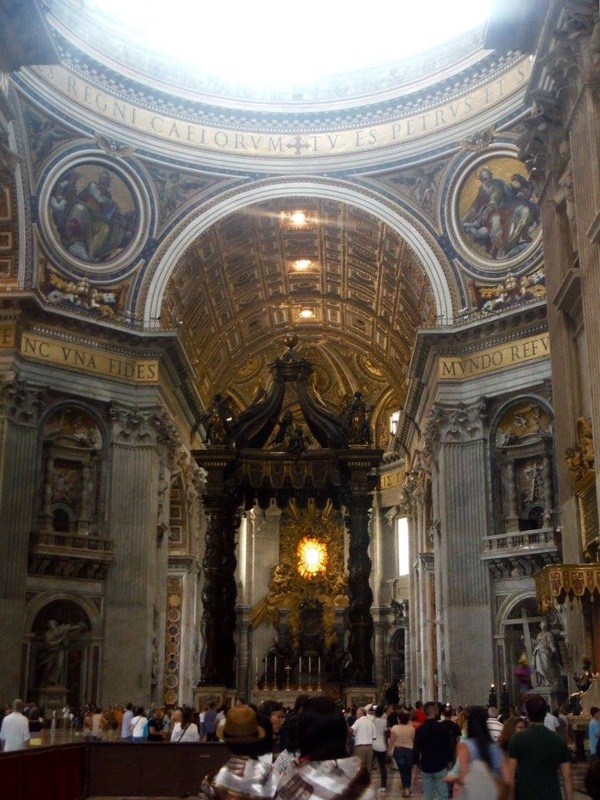 The inside of St Peter’s Cathedral. It was impossible to get a picture that really does it justice. The walls and ceilings were covered in gold and there were more impressive artworks all around the Cathedral. The cathedral got its name when St Peter was crucified upside down and buried underneath the altar. 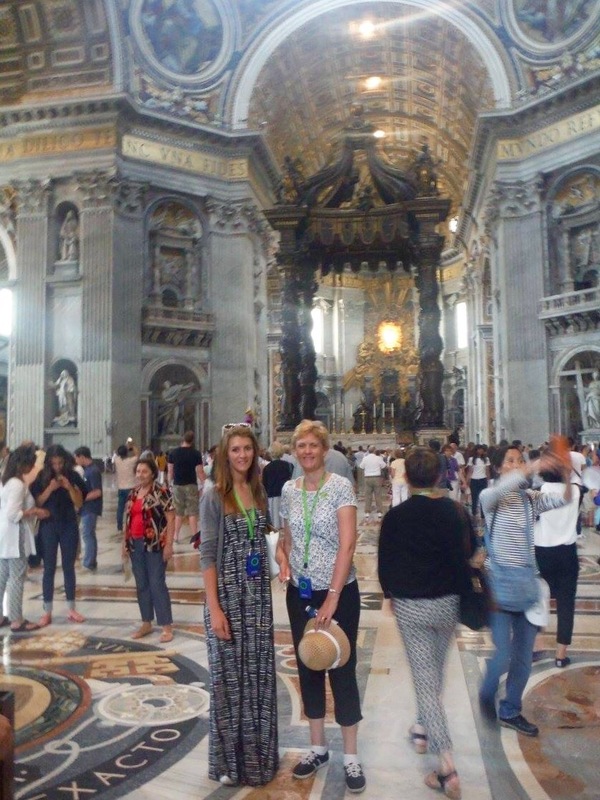 My mum and I in St Peter’s Cathedral. St Peter’s Cathedral from the outside. Only the Pope is allowed to give mass here. It was built between 1506-1626 and there was a law in WW2 that protected the buildings. If you are ever in Rome, I can’t recommend the Vatican City enough. Even if you think you know nothing about art and religion, take a tour and it will help you understand and then appreciate it more. It’s a very special little country and should not be missed!